A few days ago, someone asked me a question about my favorite Girl Scout cookies. I went to snarkily reply, saying something along the lines of "Why don't you just check Julie's Dining Club? ", and then realized that somehow I have never reviewed Girl Scout Cookies. Girl Scout Cookies should need no introduction. I don't think it is possible to live in the US and not have experienced Girl Scout Cookies. They come to your house, ring your doorbell, and look all cute while asking you to purchase overpriced, low quality cookies. You have to do it. If, somehow, they don't come to your house, you'll find them instead on every street corner, out front of the grocery store, or even worse, at your office, when a co-worker brings his or her adorable child there to ask you to purchase them. Ok, ok, I'm being a bit dramatic, but, I don't really think these are great cookies. That wasn't always true though, back in the day, I used to get into them, I think perhaps because my mom always loved Thin Mints. She'd put them in the freezer, and ration them all year long. My dad liked the Trefoils (shortbreads). I always thought it was funny, as my mom is a epic baker, and we nearly always had fresh cookies in the cookie jar. But, these were her thing, and I did sorta get into them, although I was never a big cookie fan in general, much less packaged cookies. Anyway, the Girl Scouts have been selling some form of cookies since 1917, they clearly have staying power. Back then, they had one variety, and actually baked them themselves. Now, they have two different suppliers (who are not the girls themselves! ), producing 11 varieties. The strange thing to me is that depending on which supplier you get, the cookies actually have different ingredients/tastes, and, in some cases, even different names, although the same concept of cookie. I've included both names here in the review. So, the cookies I get here in California really are different from what I grew up with in New Hampshire. Anyway, without further ado, I present the lackluster Girl Scout Cookies. These are only my notes from the past year or so, so, not as extensive as I normally do, since for some reason, I never bothered take notes on these before. Do-si-dos / Peanut Butter Sandwich. 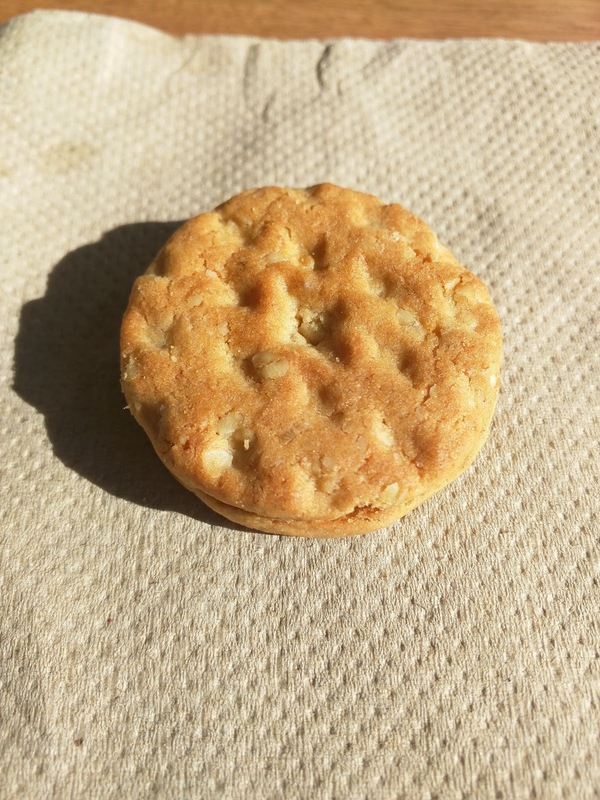 "Crunchy oatmeal sandwich cookie with creamy peanut butter filling." This was my first time having a Do-si-dos, as my mom never bought them when I was growing up. But I saw peanut butter, and obviously couldn't resist trying it. The cookie was hard and crunchy, reminding me slightly of a crunchy granola bar, due to the texture and hearty oats. The peanut butter inside wasn't creamy as promised, and seemed to be more sugar than peanuts (which I guess is true of many commercial peanut butters anyway), super sweet. Tagalongs / Peanut Butter Patty. "Crispy vanilla cookies layered with peanut butter and covered with a chocolaty coating." For some reason, when I was growing up, we also never got Tagalongs. I'm not sure why, as peanut butter and chocolate are a combination that I have always loved. I had tried them though, when friends of mine had them, and I traded one of my stash of Thin Mints. I recalled liking them. But ... it was a dry, flavorless, crispy cookie base. The peanut butter was nicely creamy, but didn't have much flavor. The chocolate was equally flavorless. Chocolate and peanut butter should be a winning combination, so it was sad that this wasn't. Hard, kinda stale, unremarkable biscuit style cookie. The peanut butter was creamy and plentiful, as was the chocolate. The chocolate and peanut butter were a good combination, if only the cookie part was better! "Crisp cookies coated in caramel, sprinkled with toasted coconut, and striped with dark chocolaty coating." 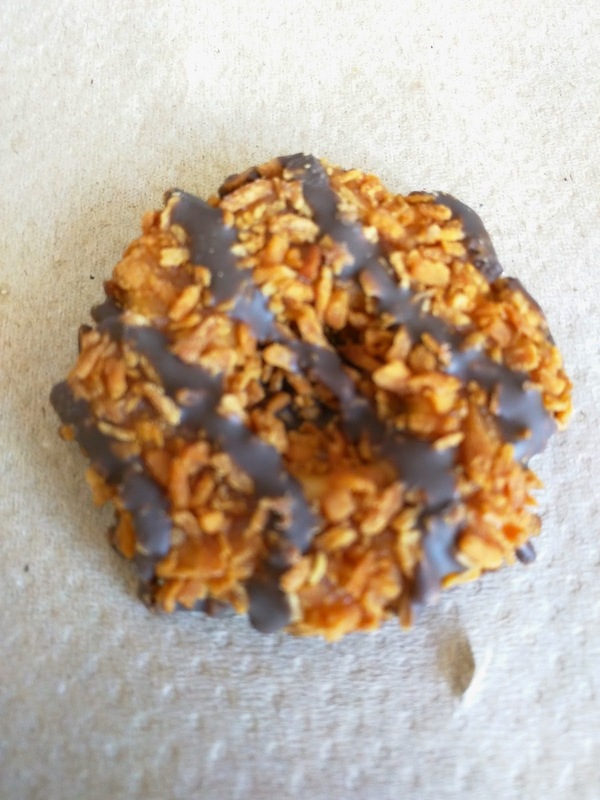 From my childhood memories, Samoas were always one of my favorites, and the third variety we got in addition to my mom's Thin Mints, and my dad's Trefoils. 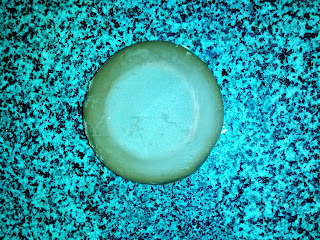 But this ... was just a rather dried out, stale, flavorless cookie, ring shaped. 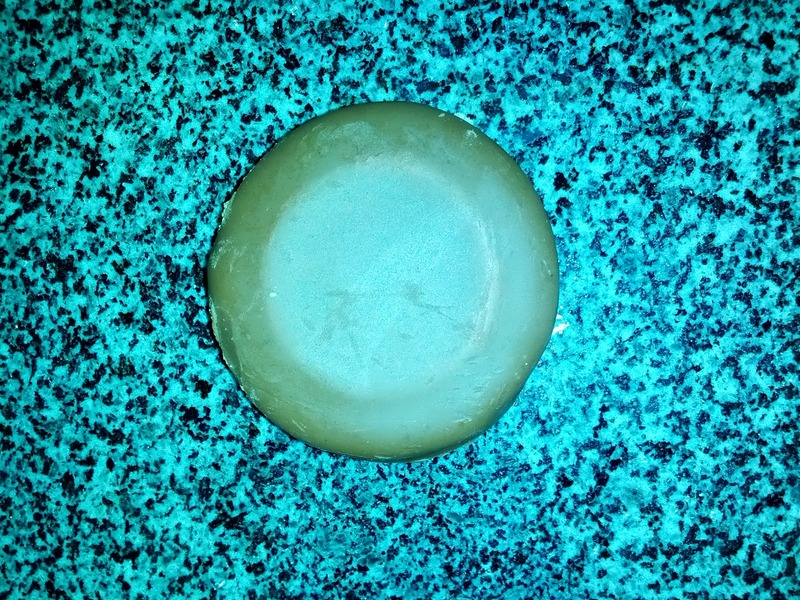 I didn't taste any caramel, but apparently the cookie is coated in it? The coconut was just gritty, and the chocolate as flavorless as everything else. I did not like this at all, which is sad, because I know I did used to like these. Subsequent tasting notes: flavorless cookie ring, coated in flavorless caramel, coated in flavorless coconut, with chocolate stripes. Not good at all. "Crisp, zesty lemon wedge cookies dusted with powdered sugar." This was a hard cookie. It had nice lemon flavor, but way too much powdered sugar. Buffalo, NY. Not exactly a destination I head for normally, but I recently had friends who got married there, so, Buffalo it was. I didn't explore much of the city, besides the reception hall (with actually really good catering by Exquisite Catering) and the Hyatt Regency hotel (also with shockingly good breakfast catering). To conclude my quick weekend visit, it was time to head to the airport. 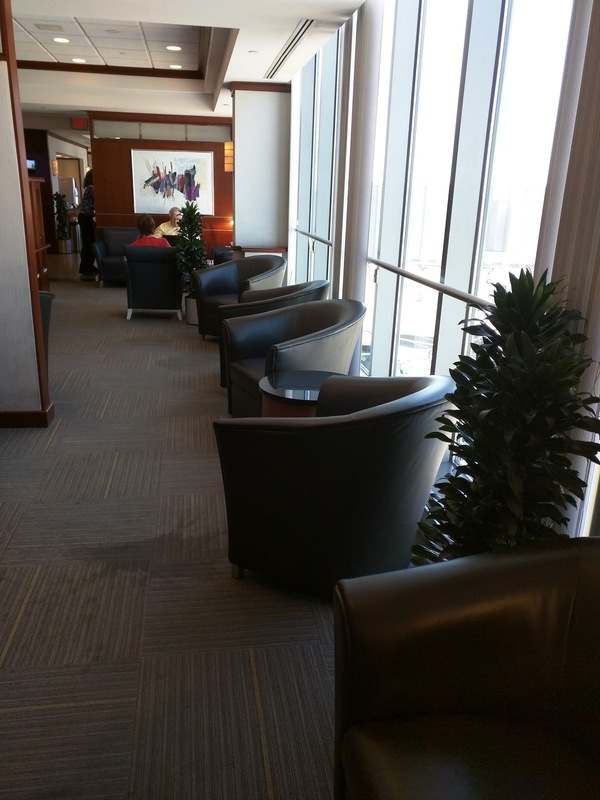 With my OneWorld status, even though I was flying regular domestic economy, I had lounge access to the Admiral's Club at the quaint little airport. The lounge was ... well, it was a basic Admiral's Club. 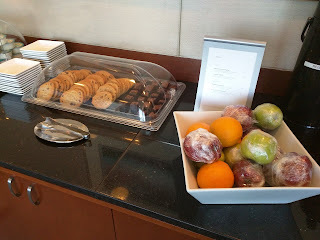 At some point, unless you find a Flagship lounge like in LAX, these all look the same. Uninspired decor, sad snacks (although sometimes I do love the snack mixes), cookies, and mediocre wine. I didn't expect to spend much time there, or in the Buffalo airport at all for that matter. I left the lounge to get food at Queen City Kitchen (again, shockingly good, what is it with this town having decent eats? ), and got on my flight. We left the gate. We taxied down the runway. And then we didn't take off. We were connecting through O'Hare, and, well, it hailed. Ground stop issued. I don't ever fly though O'Hare, I know better. But it was August!!! After spending more time on the runway, we came back to the terminal and deplaned. Awesome. But we were told they'd try again in an hour. More delays meant more time in the lounge. Eventually our flight was cancelled. Nothing else available that night, as there aren't exactly tons of flights out of Buffalo. 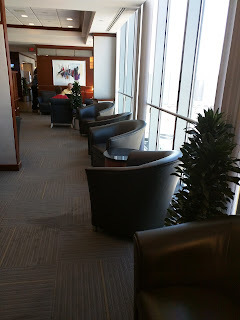 So I spent another night in Buffalo, this time at the newly opened Aloft (a really great property, if you are looking for something close to the Buffalo airport for some reason, with nice cocktails, great snacks, and decent dessert). And then went back the next day to the lounge again. 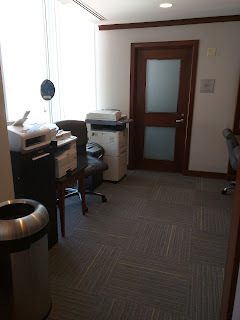 So, I spent a fair amount of time in this lounge. It is ... adequate. 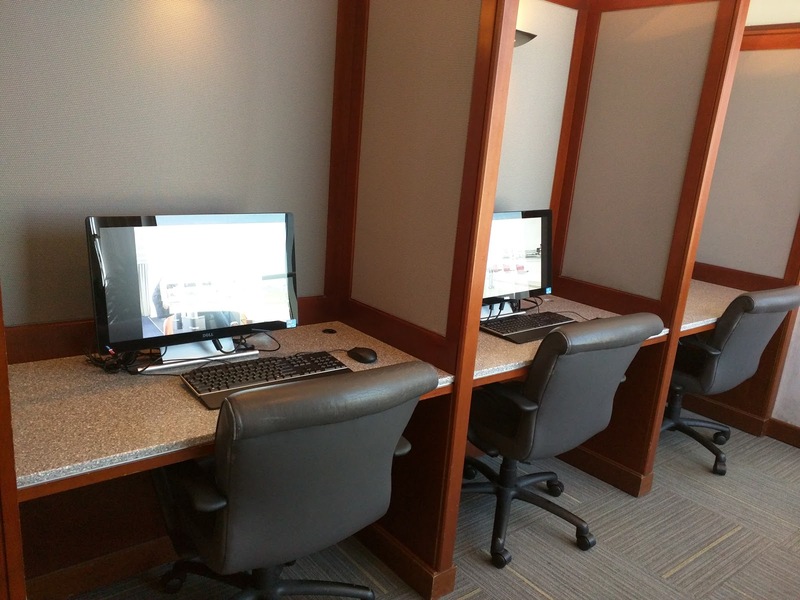 The staff however were really friendly, and took pity on us stranded travelers. Like all Admiral's Clubs, I found the seating rather uninspired. Not uncomfortable exactly, but certainly not inviting. Lots of natural light though, and plentiful power ports. And carpet stains. The lounge was basically empty the entire time we were there. Given that AA restricts Admiral's Club access so tightly, this isn't surprising to me in any way. It had a token business center on the side, with copier, printer, etc. And a few computer workstations. Soup, Cheese, Crackers, Veggies, Ranch, Olives. The food selection in Admiral's Clubs always makes me laugh. It is nice that they offer something I guess, but really, does anyone eat this stuff? (Ok, ok, Ojan and I both tried food at some point, we were in there forever over the course of two days. Boredom, not tempting looking options, lured us in). To start, the soup of the day was Roasted Corn and Green Chile Bisque. I mock the food, but, actually, this wasn't awful. It was really flavorful and spicy. I almost liked it. Next up was assorted crackers and cheese cubes. The Swiss cubes weren't awful either. 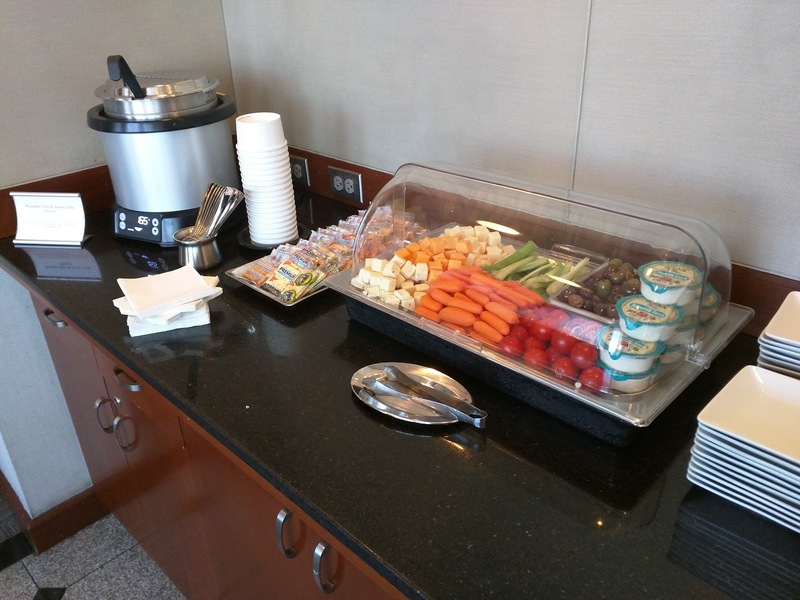 Next, veggies, an assortment of baby carrots, cherry tomatoes, and celery sticks. They managed to not be too dried out, but these aren't exactly exciting veggies. On the side were individual pots of Ken's Buttermilk Ranch. Totally generic ranch, but sometimes, I actually like this stuff. It was nice to have individual containers rather than a big unappealing vat of it. The final item in here was olives, a mix of black and pimento stuffed green. I didn't like them, but Ojan did and went back for more. The next day, they added chips and salsa to the lineup. The chips were actually higher quality than I'd expect, Food Should Taste Good brand multigrain tortilla chips. Two types of salsa, generic Tostitos or "Salsa del Sol". We didn't try any, since we liked Queen City Kitchen the first day, and decided to go back there for poutine before our flight instead. The cookie selection was the standard chocolate chip and oatmeal raisin, which I've reviewed before, and little chocolate brownies. Red and green apples (wrapped in plasic wrap?) and oranges were in a bowl. These aren't for me, but Ojan always likes them well enough. I always have my eye on the snack mixes. 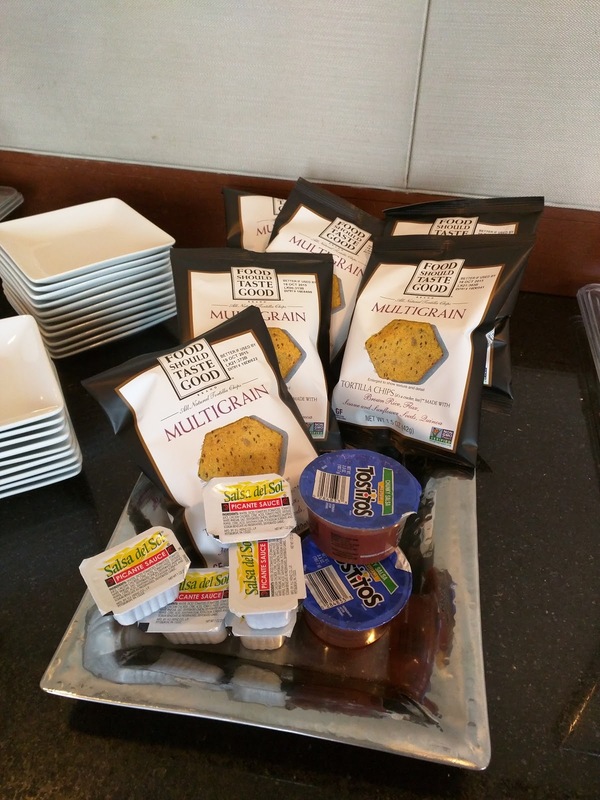 AA has a number of different mixes, and you never know which ones you are going to get at a given lounge. They all sound like exactly the sort of things I'd love, as you know me and snacks, but often I want to like them more than I actually do (like the yogurt pretzels from the SFO lounge). 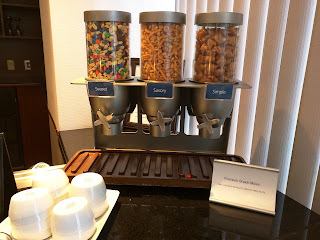 Here, we had a trio of snack mixes, labelled "Premium Snack Mixes", in "Sweet", "Savory", or "Simple". I obviously tried them all. 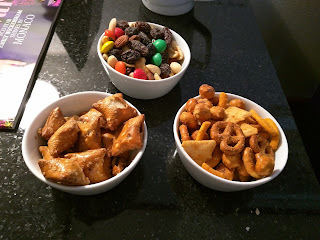 Sweet and Salty Mix, Savory Mix, Peanut Butter Pretzels. I started with the one labelled "Simple". They looked like just square pretzels. I was thrilled to discover that they were stuffed with peanut butter. Not amazing, but an upgrade over plain pretzels, for sure. Next I went for "Savory". This had pretzel twists and pretzel balls, neither of which I cared for. But it also had cheesy twigs and cheesy little triangle chips. And corn nuts. The entire mix was quite zesty and flavorful. I really liked the triangle chips. 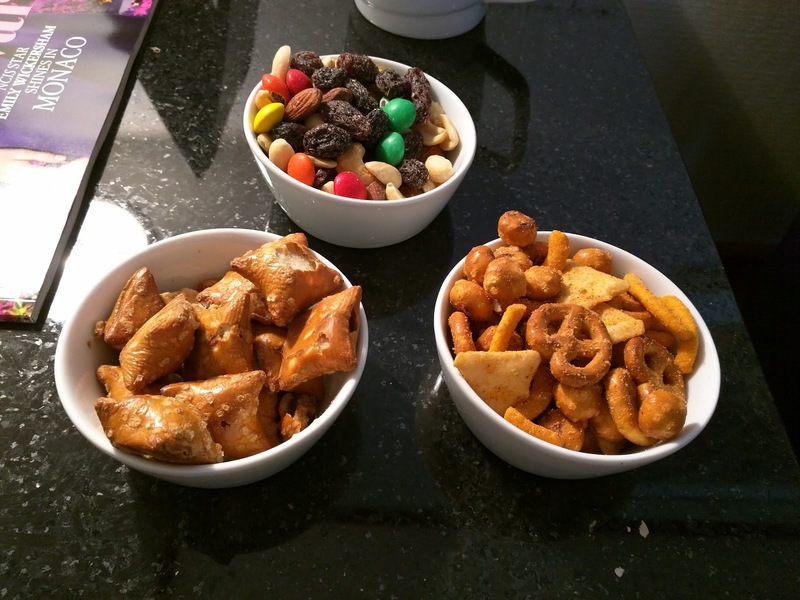 I enjoyed this assortment, sans the pretzels, one of the best mixes I've had from AA. And finally, and sweet and salty one, a classic GORP, with bonus almonds. It was everything a basic GORP should be, sweet and salty, simple but addicting. Again, good. I ate a lot of these mixes while stranded there, and really quite enjoyed them. Mmm, snacks.